Donna M. Hunnicutt, age 79, of Ora, Indiana, passed away Tuesday, February 5, 2019. Donna was born July 26, 1939 in Ora, to John Plante and Ethel Greer Plante, both deceased. She had worked for many years at the Culver Academies. 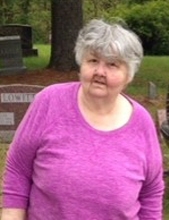 She is survived by her children, Norman Hunnicutt Jr. (Wendy) of Ora, Andrew Hunnicutt (Trish) of Tyner, Indiana and Roger Hunnicutt (Brieanna) of Bass Lake, Indiana, a sister, Camilla Brettin of Knox, 7 grandchildren and 11 great grandchildren. She was preceded in death by an infant daughter, her husband, Norman Hunnicutt Sr., brothers, Vernon, Richard and John Plante, and a sister, Betty Brettin. Services will take place at the Alexander Heinemann Cemetery in Ora at a later date. To send flowers or a remembrance gift to the family of Donna M. Hunnicutt, please visit our Tribute Store. "Email Address" would like to share the life celebration of Donna M. Hunnicutt. Click on the "link" to go to share a favorite memory or leave a condolence message for the family.